We expect you will have been delighted with the parcel you have now recieved from us. Taking into consideration all our disclaimers, we do want you to feel proud to have purchased from us and to own or give as a gift this purchase. If you are not happy with your purchase, please contact us within 14 days of invoice to either check with us about any questions you may have or to recieve a return number. Please either phone,email, fax, for prompt attention. The return number, will be required to return your purchase for a refund of the purchase price of the item. We regret to advics that there is no refund of the freight charges or our "Merchant Credit Card Charges". The return package and the item must be returned with the original packing and invoice of goods purchased with the return number clearly imprinted on the invoice. The item, must be in it's originalcase, pad or packing, unworn and unmarked as recieved. That all aspects of the warrenty agreement have been understood and complied with. Please read the warranty at time of purchase. If all of the above have been complied with, we will gladly exchange, replace, or refund on receipt of goods returned to us in the above manner. Thank you for taking the time to read and understand the information we have provided for our mutual purchasing relationship. The privacy of your customer data, orders and credit cards are important to us. We will not disclose or sell your customer data to any third party. We will only send you email if you explicitly opt in. Credit card details are not stored anywhere on our servers nor in our premises. Your credit card details are processed in real time by an independent payment gateway authorised by our bank, using secure encryption. We alo have credit card facilities on our premises for either direct credit purchases and or showrooms sales. We will process your order within 2 business day following payment in cleared funds. We will send you an email notifying you when your order has been shipped. Please allow upto 5 days for delivery domestically, or 14 days internationally. All packages will be Track and Trace. Of each piece from the date of purchase. Items of high value can have a valuation for retail replacement value in New Zealand dollars, if required. 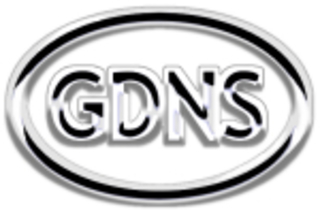 We are proud to stamp our "Trademark", GDNS on each charm where possible. This will appear with the appropiate metal stamps. Any damage caused by accident, abuse or misuse of the item. Any damage caused by neglect of either storage, wearing or transporting of the object. Any damage caused by an unauthorized modification or repairs carried out by another workshop, person or jewellers. The loss or damage to any stone or pearl caused by any of the above. Any problems occurring after 90 days from purchase.